A quality and fluffy silk comforter gives your baby a quality sleep and sweet dream. Lasin Bedding offers 100% silk-filled comforter for your little ones. The comforter set also comes with two cartoon comforter covers or duvet covers as a protection of the comforter. The 240 thread count duvet covers are made of 100% pure cotton; they are safe to be machine washed for any stain and germs. Lasin Bedding stays clean with your baby. 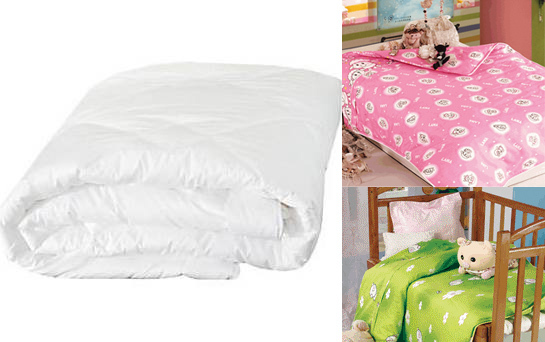 x1 comforter 36" x 42"
Never wash comforter only wash the duvet. If necessary comforter can be dry cleaned.